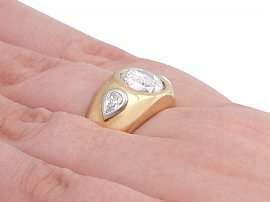 This stunning, fine and impressive diamond signet style ring has been crafted in 18 ct yellow gold with 18 ct white gold settings. 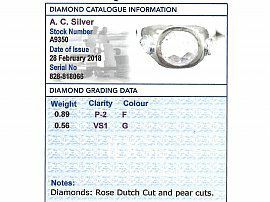 The simple yet effective design displays a feature 0.89 ct Rose Dutch cut diamond, collet set flush to the centre. 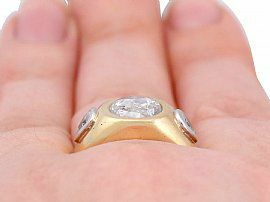 The impressive feature diamond is flanked on either side by an individually 18 ct white gold collet set pear cut diamond. The subtly elevated, flared ring shoulders blend with the main setting and meld seamlessly with the plain ring shank. The ring is hallmarked to the outer surface of the shank with the French hallmark for 18 ct gold (eagle's head) and lozenge shaped maker's mark. 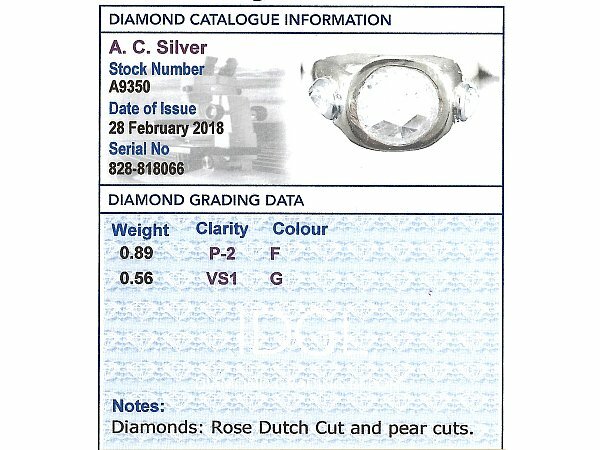 This vintage gent's ring is supplied with an independent diamond grading certificate for the feature diamond, in addition to an independent diamond grading report card for the supporting stones. This stunning vintage 1950's dress ring is exceptional quality set with very high colour graded old cut diamonds, the feature diamond displaying a fine white colour and presence. 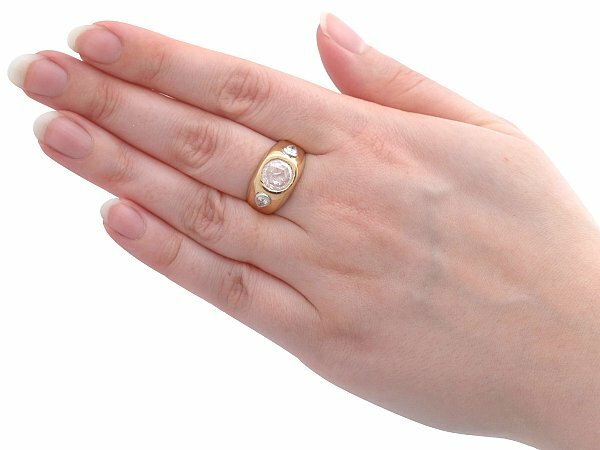 The ring is an exceptional gauge of gold and is in excellent condition with French hallmarks to the outer surface of the shank.